Last year’s Decemba 2 Rememba Concert which was organized by Citi FM saw Ekiki mi hitmaker, Wisa Gried did one shocking thing. Well, during the performance of his ‘Slow motion’ song, Wisa pulled down his jeans showing off his boxer shots, and then took off his ‘gorgormi-like’ office pin manhood and then started grinding his female dancer. 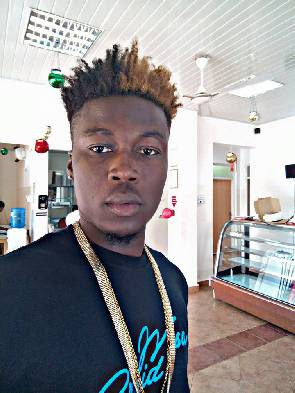 Many were surprised by what he did, and a year down the lane, Wisa in an interview on Viasat One TV disclosed that indeed, what he did at Decemba 2 Rememba concert was a publicity stunt gone wrong. When asked about the whole incident, he said, “I don’t want to talk about this again but what happened at D2R was a publicly stunt gone wrong. I never knew it would have gone that far and even to court and more”. He, however, added that it made people to talk about him, thereby making him more popular. “But it helped me, it made people talk about me and it helped in the popularity bit too.” Wisa said.